The 38th annual World Sabaki Challenge was held on April 22nd 2017. It saw fighters from all over the world converge on Denver Colorado to compete in this prestigious event. 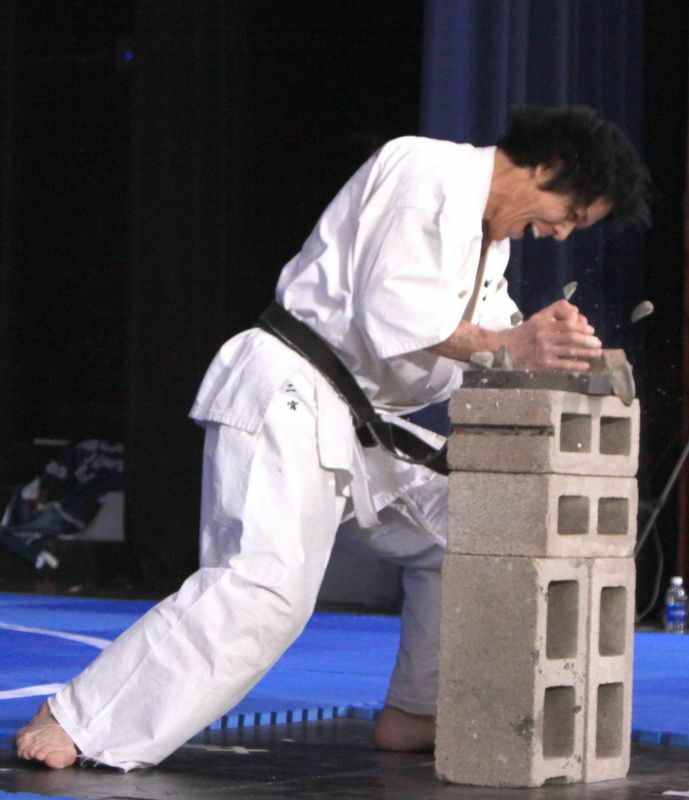 The Sabaki Challenge is a fighter’s tournament designed to embody the underlying purpose of karate training, whereby the repetition and refinement of one’s technique, combined with constant effort, results in an inspired performance. The tournament is open to serious karate fighters from any style. This year’s tournament was the first year that a Junior division was included as a prelude to the main professional event. Kancho Joko Ninomiya and Fuku Kancho Mike Ninomiya (himself a 4 time world Champion) wanted to provide a opportunity for the future of full contact karate to compete on the world stage. 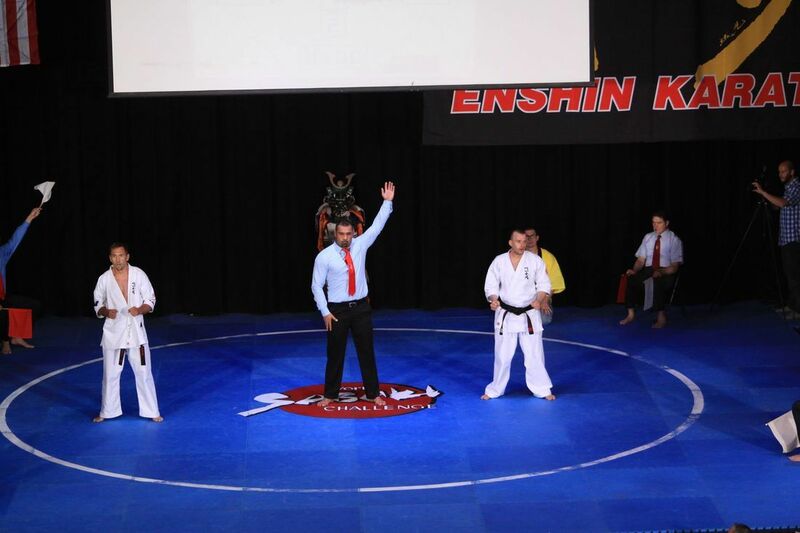 Two Fighters from Sensei Dino Kardas’ Enshin Dojo in Melbourne competed in this year’s event. Senpai Artem Zaytsev, who competed in the Middle/Heavy weight division and Sensei Dino’s son Marcus Kardas who competed in the Junior Upper Elementary Division. Marcus fought 3 tough matches ,wining them all. Marcus used a combination Sabaki technique and his amazing upper round house kicks to become the 2017 Upper Elementary Boys World Champion. The Adult professional event saw fighters compete in three divisions Light weight, Middle/Heavy Weight and a Open weight women’s division. Fighters including pervious and current World Champions, All-Japan Champions and European champions. In the open women’s division fighters competed from Germany, USA and Japan. They all showed such strong spirit with many of the fights going to overtime. Nanae Maruyama from Fukuoka Japan was crowned 2017 Women’s World Champion. Nine fighters battled in the light weight division. The fighter’s displayed such a high slandered of technique with the eventual winner Ryuju Takimoto from Ehime Japan becoming 2017 World Light weight Champion. The Competition in the Middle/Heavy weight division was ferocious Senpai Artem Zaytsev from Melbourne along with 3x world Heavy weight champion, Lukasz Stankiewicz from Poland, 2015 World Light weight and European champion Leon Muthunayake from Germany and Kancho’ Youngest son, Jota Ninomiya the 2011 All-Japan Champion, 2012 Light weight and 2014 middle weight World champion were amongst the 7 fighters competing in this division. Senpai Artem made to the semi finals eventually losing by judges decision to 3x world Heavy weight champion Lukasz Stankiewicz from Poland. Artem’s technique and spirit won him much respect from his fellow competitors many commenting how strong he was. The eventual winner Jota Ninomiya displayed amazing technique and timing defeating Lukasz Stankiewicz to become the 2017 Middle/heavy weight world Champion.